As a new feature here at Negative-G is in this any future trip reports if you'd like to see a larger version of any of the photos just click on the photo and a larger version will open up on top of the page. 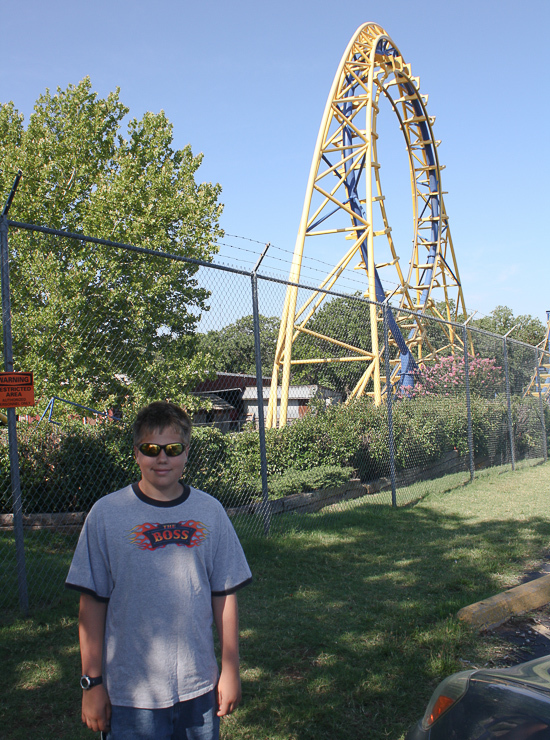 The big new park for us on our plains states road trip this year was Frontier City which sits on the Northeast corner of Oklahoma City, Oklahoma. I have been wanting to get to Frontier City for a while to ride its Anton Schwarzkopf designed Silver Bullet, the classic National Amusement Device/Aurel Vazin /Edward Leis designed Wildcat wooden coaster and a rare Arrow Dynamics designed "Launch Loop" that is situated behind Bond in this photo and is known around these parts as "Diamond Back". Frontier City began in 1958 when a local businessman named Jimmy Burge decided to take a recreated frontier town that was built at the Oklahoma State Fair and turn it into Oklahoma's version of Disneyland. 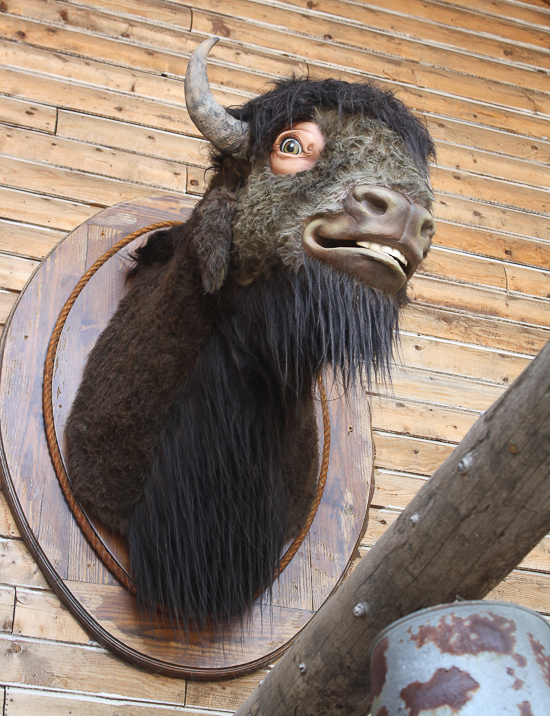 Burge bid on the frontier town when it came up for auction but he was outbid. So he decided to build his frontier town from scratch and after raising some funds and after a really last minute building frenzy the park opened. Frontier City didn't start as much more than a roadside attraction with free admission, a few rides, stores and staged gunfights in the streets. Frontier City grew slowly and faced some really hard years. Ownership passed hands a few times and in 1968 the park was purchased for just $185,000 by Howard Slusky because the park and attendance was in such bad shape. Mr. Slusky spent several years cleaning up the park, fixing the run down rides, adding crafts, restaurants and more rides resulting in the park turning around. He ran Frontier City until 1981 when the park was purchased by a real estate developer called Tierco. The rumor is that Tierco purchased the park to level it and develop it into something else as the area was in the middle of a huge oil boom. What saved Frontier City from becoming just another shopping center was the oil bust and resulting real estate collapse that happened in 1983. Suddenly it was more profitable to just run the park instead of demolishing it. 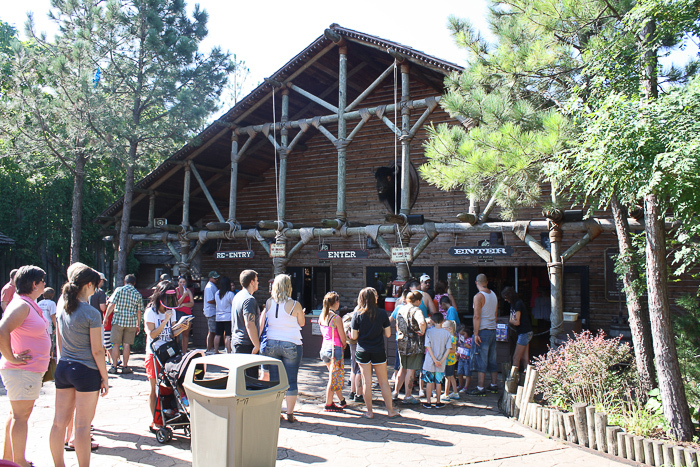 Tierco grew Frontier City massively by adding several big rides like the Silver Bullet, Wildcat, log flume and others. Eventually Tierco started purchasing other parks like Wild World in Maryland (now Six Flags America), Geauga Lake, Wyandot Lake, Darien Lake and others. Concentrating on amusement parks instead of real estate Tierco changed their name to Premier Parks and ran everything out of offices adjacent to Frontier City. Premiere Parks was ran by Gary Story who orchestrated Frontier City's growth under Tierco and along with Kieran Burke they orchestrated Premier Parks purchase Six Flags in 1998. Despite being a part of the Six Flags chain but Frontier City was never "branded" a Six Flags Park like Wild World, Geauga Lake, Kentucky Kingdom or Darien Lake. In 2005 after a shareholder revolt due to the extreme debt that Premiere Parks had ran up with numerous park purchases Story and Burke were out and new management was in. One of the first thing the new Premier Parks management did was to put several parks up for sale including Frontier City. 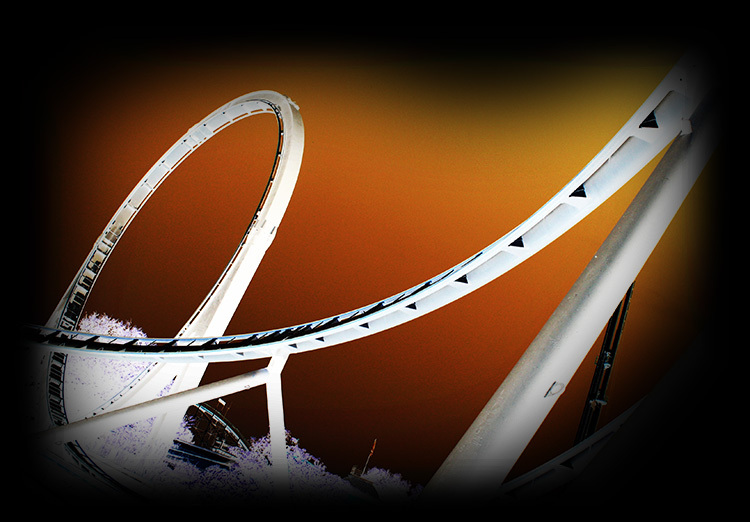 Eventually Frontier City was purchased by CNL Lifestyle Properties like their predecessor Tierco they invested more into the park including the Steel Lasso coaster in order to boost attendance. After a few seasons od other management Gary Story and Kieran Burke came home to Frontier City to manage the park for CNL and have been overseeing it since then along with a few other parks. 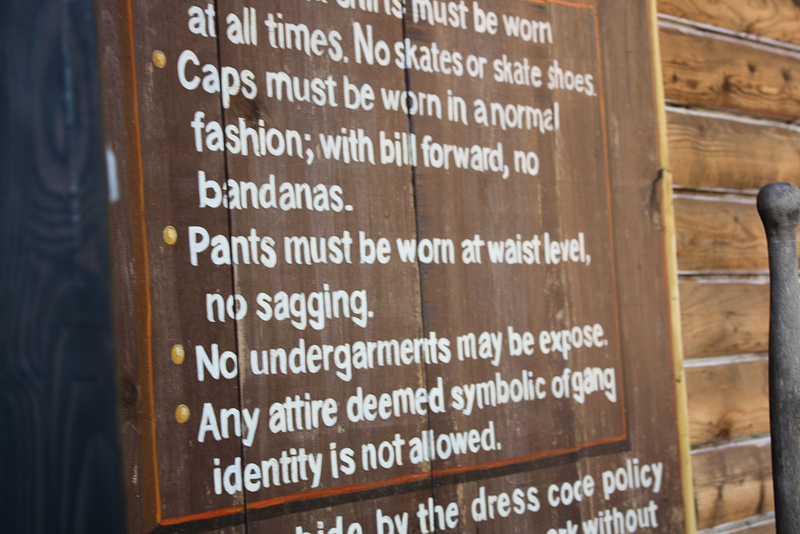 "Pants must be worn at waist level, no sagging"
After working our way through the turnstiles and through the entrance/exit/gift shop we emerged onto the streets of Frontier City where as usual at most parks we were accosted by a gaggle of photographers. 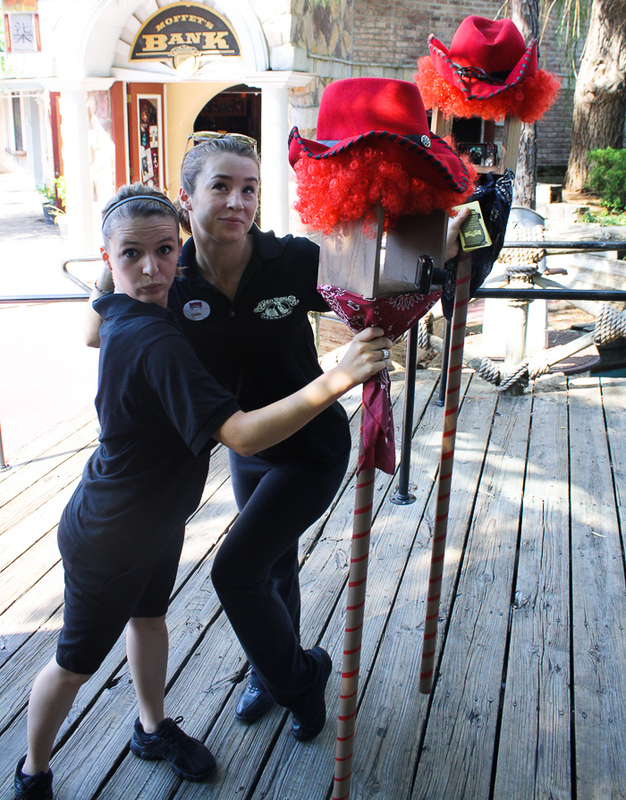 I normally whip out my camera and turn the table on the photographers resulting in a confused/annoyed park photographer but at Frontier City these ladies got the joke and struck a pose for me.